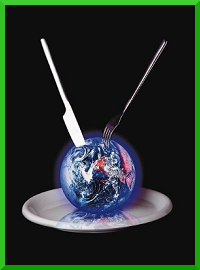 Welcome to my next series of articles, which will examine foods and drinks from all around the world. This time, we will take a trip back to Africa, or more specifically, Equatorial Guinea. While this is a small country, it is flush with natural resources, especially with fish and tropical fruits and vegetables, which quickly became a staple in its cuisine. Most of Equatoguinean cuisine comes from local African tribes, which originated in Bantus. Tribal people most often use plant-based ingredients like cassava, plantains and yams in their cooking with most of the meat coming in the form of fish or cattle. 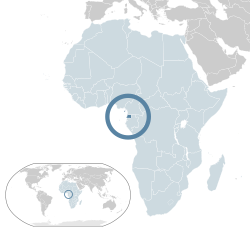 A lot of modern Equatoguinean cuisine was also influenced by the Spanish during colonization of the country, as well as the Portuguese and Middle Easterners. This is why nowadays you can see tapas and marinated meat in a majority of the restaurants or notice foreign cooking techniques. As mentioned before, local produce make up a big part of Equatoguinean cuisine. This is mostly cassava, sweet potatoes, yams, plantains, leafy greens, bananas, mangoes and coconuts. They are served either by themselves for a vegetarian feel or together with fish, which is mostly grilled and wrapped in big leaves. Sometimes, people add crushed pumpkin seeds for flavor. One of the favorite dishes in Equatorial Guinea is chicken stewed in a creamy peanut sauce with rice or boiled plantains on the side. For special occasions, people also use roast duck, chicken or seasoned, smoked beef. 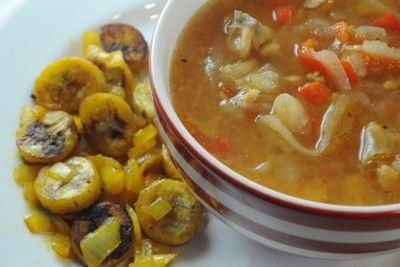 Equatoguinean cuisine also has a few local soups to offer, although they are primarily Western African, rather than just Equatoguinean. One of such is Peppersoup, which is made from peppers (duh! ), an assortment of meats and nutmeg. Another is Sopa de pescado con cacahuete, ground nut soup with fish, onions and tomato, originating from Spain. The cuisine also features a number of sauces, mainly made with peanuts, ñame (yams) and ocrao. The country’s biggest exports are coffee and cocoa; however, the people rarely drink them. They mostly drink African tea called Osang, palm wine or malamba, an alcoholic drink made from sugar canes. Another drink is also locally made beer, with ginger beer being very popular (which, despite the name, is not alcoholic). This particular dish is very popular in Equatorial Guinea and, despite its name, is very similar to nut bars that are common in North America and Europe. 1. Preheat the oven to 160C (320F) and spread the raw peanuts evenly on a baking sheet. 2. Place the baking sheet in the center of the oven and roast the peanuts for 10 minutes, stirring them occasionally. Be careful that you do not burn yourself. 3. After 10 minutes pass, remove the baking sheet from the oven and let the peanuts cool completely. 4. Spread the peanuts on a cutting board and crush them with a rolling pin. Here, you can also use a blender on rough or chop setting, depending on the size of the nut pieces you prefer. 5. Pour the sugar into a non-stick pan; add water and a few drops of lemon juice. 6. Cook the sugar over medium heat and let it dissolve until it reaches a temperature of 160C (320F) on a candy (or another kitchen) thermometer. The concoction should be light in color. 7. Add the crushed peanuts to the sugar syrup and stir vigorously for 2 to 3 minutes over low heat. 8. Spread the mixture on a previously oiled cutting board (or between 2 sheets of parchment paper) and use a rolling pin to flatten it to a thickness of about a third of an inch. 9. While the mixture is still hot, use a large sharp knife and make slight incisions of 2-inch squares. You have to do this before the mixture hardens. 10. Once the nkate has cooled, cut the precut pieces along the cut lines. One of the smallest countries in the world, Tuvalu has a very rich fauna, with primarily fish species, so it is no wonder that fish comprise most of the Tuvaluan cuisine. Interestingly enough, due to the isolation of Tuvalu’s islands, there are no outside influences on its cuisine. There are some British elements to it, but mostly because Tuvalu used to be a British colony. Despite being a very small country, diet varies from island to island in Tuvalu. In the capital, Funafuti, seafood and meat dishes are more prevalent, while in the outer islands, they used taro root as a multipurpose ingredient. Besides the fish, a traditional part of Tuvaluan cuisine is pulaka, a swamp root similar to taro, bananas and breadfruit. A lot of desserts include coconut and coconut milk, which is often substituted instead of regular animal milk. In fact, coconut is the king of Tuvaluan cuisine. It is not only found in desserts, though there it is most prevalent, but you can also taste it in appetizers and main dishes, such as curry. From the meats, pork is the most popular as pigs are the main livestock raised on the islands. However, pork is mostly reserved for special occasions, parties or celebrations. A common base tying the dishes together is rice. You can practically see it everywhere in Tuvaluan cuisine, also as a side dish. 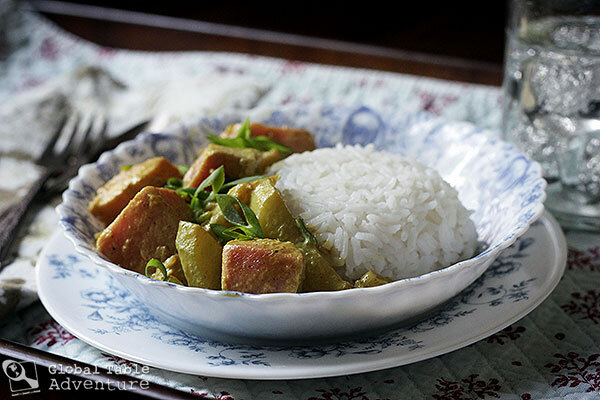 There are two variations of it; plain rice and coconut rice. As for drinks, there are many in Tuvalu. The islands offer famous international drinks, though mostly in busy restaurants and hotels, which are populated with foreigners. Their most popular Pacific drink is kava (not translated as coffee), made from kava plant’s roots. These roots are ground, which released a liquid, to which water is added. This makes for a popular juice. Another drink is pi, where you simply drink milk directly from the coconut. 1. In a large skillet or wok, heat up some vegetable oil over medium-high heat. 2. Sauté the onions for a few minutes, until fragrant and translucent. 3. Now add in curry powder, garlic and reduce the heat to medium. Cook until softened and your whole house is filled with the enticing aroma. 4. Now stir in the coconut milk, and then the green onions and sugar snap peas. 5. Add the tuna steaks into the mix, and soy sauce to taste. 6. Cook until the tuna is nicely browned on the outside and as done in the center as you like it. 7. Traditionally Tuvalu Coconut Tuna is served with rice, and often coconut rice (Rice cooked in half-and-half coconut milk and water). You can also garnish the steaks with fresh parsley or cilantro. Our delicious destination this issue is a country in the Caribbean Sea, Cuba. The cuisine here is a fusion of Spanish, African, Caribbean, and Native American Taino food. A typical Cuban meal consists of rice and beans, which can be cooked either together or apart. Perhaps one of their most famous foods is the Cuban sandwich, also called mixto. It is a quite popular dish, especially for those that cannot stop for a full lunch. Its origins come all the way from 1800s, where Cuban and Floridian workers exchanged the food, which had then spread to Cuban American communities in the United States. It is made from two buttered Cuban bread buns, which are lightly buttered. Then comes the stuffing, which comprises of sliced roast pork, thinly sliced Serrano ham, Swiss cheese, dill pickles, and mustard. Sometimes, especially in the US, you will also see tomatoes and lettuce, but they are mostly an Americanization. Almost identical to the Cuban sandwich is Medianoche, which only differs in bread. In this dish, the bread is made from sweet egg dough. 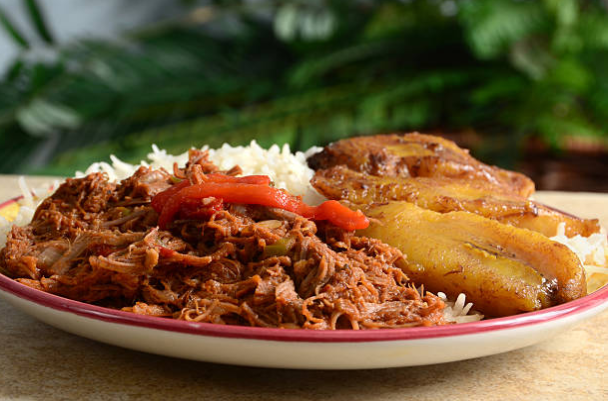 One of the national dishes of Cuba, ropa vieja is made from shredded or pulled stewed beef with vegetables, most notably black beans, yellow rice, plantains, and fried yucca. Another Cuban national dish is Moros y Cristianos, which you can find practically everywhere in the country. 'Moros' here refers to the black beans and 'Cristianos' to white rice. It is a side dish given with many different main courses that never goes out of style. For those with more of a sweet tooth, your answer is Torticas de Moron, a traditional Cuban dessert. It is a sugary pastry made from cookie dough made with lard or vegetable shortening. It is very crunchy and tastes as a mix of rum, lime, and vanilla. As for the drinks, Cuba is famous for its Café Cubano, a Cuban espresso; an alcoholic beverage Cuba Libre, made from rum, Coca-Cola, sugar, and lime; Mojito, which contains rum, mint, sugar, lime, and club soda; and pineapple soda called Jupina. Welcome to my next series of articles, which will examine foods and drinks from all around the world. Our first stop is Algeria. Their cuisine comes from all walks of life, but most notably Berber, Andalusian, Arabic, French, and Ottoman. With a big country such as Algeria, you of course do not have a single type of cuisine that pertains to everyone. Each region of the country has its own famous examples. However, many of the dishes are centered on fresh vegetables and herbs, bread, olive oil, and meat (lamb, beef and poultry). Spices are a staple in the Algerian cooking, most notably ginger, cumin, garlic, saffron, coriander, parsley, mint, and cinnamon. Perhaps the most famous Algerian dish is couscous, which many people mistaken for grain, me included. However, couscous is actually pasta. The dough for pasta is a mixture of water and semolina wheat, which is then crumbled through a sieve, which creates tiny grain-like pellets. 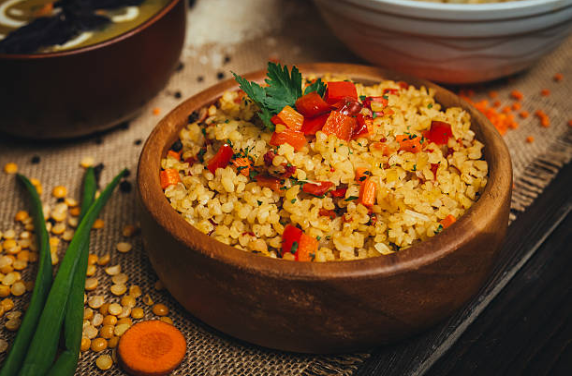 Couscous is not normally eaten as a separate dish, but rather with different meats, such as lamb, chicken or fish, and cooked vegetables like carrots, chickpeas and tomatoes. It is also eaten with stews. As you can see, couscous is a very versatile dish, since it can also be used in desserts by adding sweet ingredients. When an event is held, which will draw in a lot of people, a typical dish to prepare is Mechoui, a whole lamb roasted on an outdoor spit. It has a crispy skin and tender meat inside, which is the result of an herb butter seasoning. Mechoui is eaten with an assortment of dried fruits and vegetables, such as dates. Although not a dish, mint tea is very popular in Algeria, as is in many North African countries. 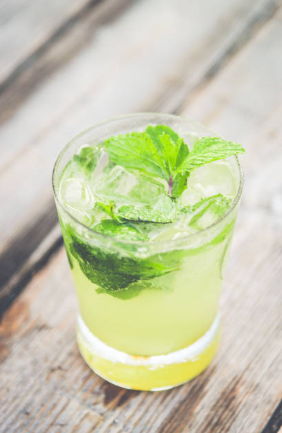 They especially like serving it to their guests as it is quite easy to make: you just need water, green tea, mint leaves, and, if you wish, sugar. First, boil the water and put one and a half tablespoons of tea in a separate teapot. Then put the boiling water in the teapot with tea and immediately pour it out again to wash the leaves. Then add sugar and mint leaves, pouring the boiling water in again, but not all the way to the top. Stir well and serve it still boiling hot. Algeria certainly has an interesting cultural mix when it comes to cuisine: a blend of Arab, African, and Mediterranean dishes. Join us next time on another delicious destination.